In recent years, much mainstream development discourse has sought to co-opt and neutralize key concepts relating to empowerment, participation, gender, sustainability and inclusivity in order to serve a market-driven, neoliberal agenda. Critical development studies now play a crucial role in combatting this by analyzing the systemic changes needed to transform the current world to one where economic and social justice and environmental integrity prevail. 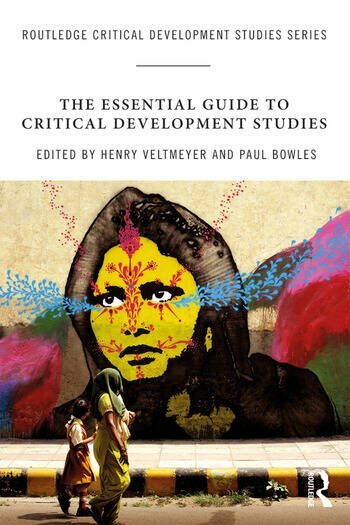 The Essential Guide to Critical Development Studies takes as its starting point the multiple crises – economic, political, social and environmental – of the dominant current global capitalist system. The chapters collectively document and analyze these crises and the need to find alternatives to the system(s) that generate them. To do so, analyses of class, gender and empire are placed at the centre of discussion, in contrast to markets, liberalization and convergence, which characterize mainstream development discourse. Each contributor supplements their overview with a guide to the critical development studies literature on the topic, thereby providing scholars and students not only with a precis of the key issues, but also a signpost to further readings. This is an important resource for academics, researchers, policymakers and professionals in the areas of development studies, political science, sociology, economics, gender studies, history, anthropology, agrarian studies, international relations and international political economy. Henry Veltmeyer is Senior Research Professor in Development Studies at Universidad de Autónoma de Zacatecas, Mexico, and Professor Emeritus in International development Studies at Saint Mary's University, Canada. Paul Bowles is Professor of Economics and International Studies at the University of Northern British Columbia, Canada.